Great buys on discontinued teaware! 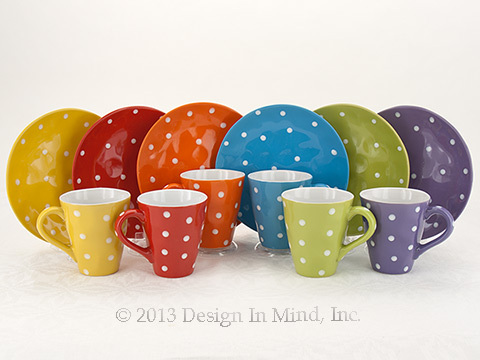 Here we offer the remaining items from discontinued teaware product lines from various manufacturers. Everything 50% off original price! All sales are final. Napa Pottery mug set includes two 10 oz. 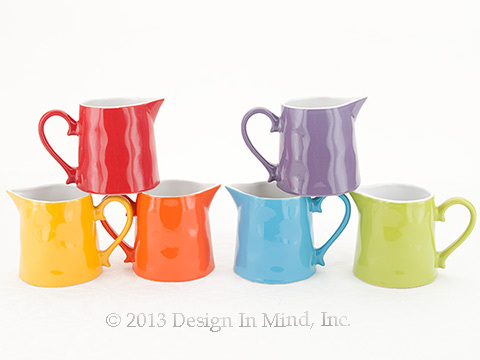 mugs to match the Napa Pottery teaset. Made in China. Napa Pottery teaset includes a 28 oz. teapot with creamer and sugar bowl. We recommend a medium size tea cozy for this teapot. Made in China. The Maxwell Williams Sprinkle Mug and side plate make an excellent casual tea service. Quality stoneware is microwave and dishwasher safe. Made in China. The Traditions series are produced to the exact specifications of the original Johann Haviland china designs, some of the most popular china ever sold in the USA. The 5 piece setting includes dinner plate, bread & butter plate, fruit bowl, coffee cup and saucer. Made in China to match the design and specifications of the original Haviland products. This line stands up very well under heavy use. The Traditions series are produced to the exact specifications of the original Johann Haviland china designs, some of the most popular china ever sold in the USA. Although Haviland designed the teapot and teacup, they were rarely imported to the US originally. Now they are available to complete your Haviland china service, or as a unique "antique" tea service. Use a large size Tea Quilt for this teapot. Made in China to match the design and specifications of the original Haviland products. This line stands up very well under heavy use. Flowertime porcelain cups and saucers. One each of four flower patterns; camellias, hydrangea, tulips, and black-eyed Susans. 9 oz cup. 5.5" diam. saucer. Perfect for tea party! Microwave and dishwasher safe. Made in China. Flowertime porcelain teapot with cream and sugar in the hydrangea pattern. 43 oz teapot. 12.5 oz creamer. 14.5 oz sugar bowl. Microwave and dishwasher safe. Made in China. Use a large size Tea Quilt tea cozy with this teapot.